Every business’ financial needs are unique. We know that one business is not like the next, and to best serve customers we need to understand your perspective. That’s why at Investors Community Bank we promise to always walk in your shoes ... travel your journey ... and do our best to understand your business’ individual situation. Conventional Financing : Traditional term loans, lines of credit, construction loans, bridge loans, letters of credit, industrial revenue bonds, and access to local loan programs. 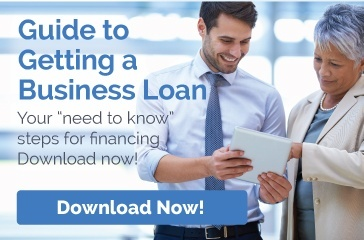 SBA 504 Loans (with the assistance of a local certified development corporation) can provide long-term subordinate financing for projects of up to $5.5 million. The SBA 504 program may be used for real estate or equipment acquisition or expansion projects. This program is also now available for the purpose of refinancing eligible assets. SBA 7(a) Guarantee Loans are loans of up to $5 million for equipment or real estate acquisition, construction, working capital and refinance. SBA Cap Lines are loans of up to $5 million for working capital, contract or seasonal lines of credit. 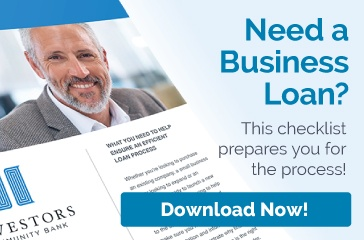 SBA Express offers loans up to $350,000 for working capital or term financing. Wisconsin Housing and Economic Development Authority (WHEDA) loans. Wisconsin Economic Development Corporation loans. Click here for helpful forms.